Join the Joliet Area Young Professionals for our September Luncheon. 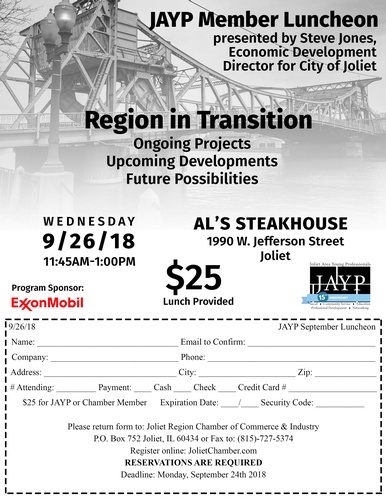 This month's topic will be "Region in Transition" presented by Steve Jones, the Economic Development Director of Joliet. He will be discussing ongoing projects, upcoming developments, and future possibilities.